See how khakhra's are made in Khakhra Making Machine. The workforce used in making Khakhra's here is minimum and product made is of high quality eventually increasing Cost Efficiency. Buy this Machine from Shantaz Technofoods. 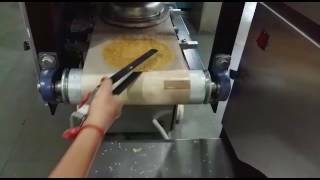 Buy Khakhra Making Machine and make Khakhra's which consumes lot less Ghee, Oil, Gas, Work Force and saves lot of time. The product you will get from this machine will be even, hygienic and consistent in quality. Here you can see how Khakhra's are being roasted evenly, which cannot be achieved by manual labor. 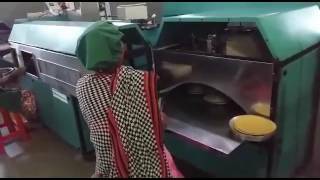 This Khakhra Making Machine gives Khakhra's consistency in quality. 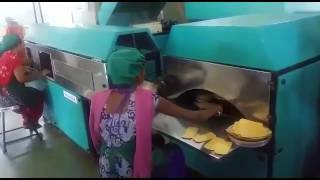 This machine makes Khakhra's which are hygienic and of good quality.